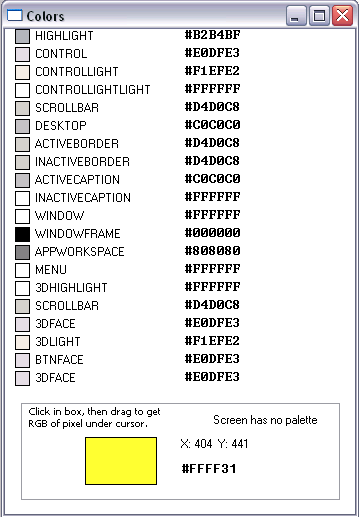 This Win32 executable is a simple tool for showing the RGB values of any pixel visible on a screen. Enjoy. It also displays the colors that the windows system is using for the GetSysColor Win32 API call.